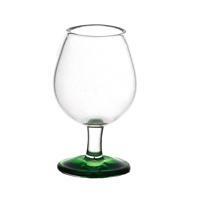 Your Search Results for "Handmade Glass"
We found 690 items that matched your search. 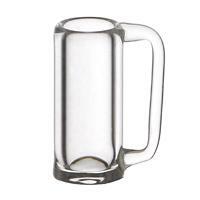 Product ID: 562 A classic yet charming glass beer mug. 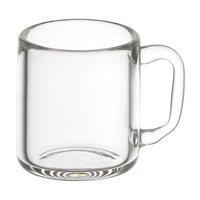 This miniature beer mug is suited for any dolls house or bar scene. This item is part of our fantastic dolls house miniature glass range that has been handmade by master craftsmen using traditional glass blowing techniques for that unique finish.We have designs to suit any era and would make a fantastic accessory for any of your dolls house scenes. 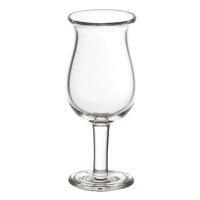 Product ID: 563 This is a lovely miniature Brandy glass. This item is part of our fantastic dolls house miniature glass range that has been handmade by master craftsmen using traditional glass blowing techniques for that unique finish.We have designs to suit any era and would make a fantastic accessory for any of your dolls house scenes. Product ID: 564 This wonderful decanter would be ideal for a living room or dining room scene. This item is part of our fantastic dolls house miniature glass range that has been handmade by master craftsmen using traditional glass blowing techniques for that unique finish.We have designs to suit any era and would make a fantastic accessory for any of your dolls house scenes. 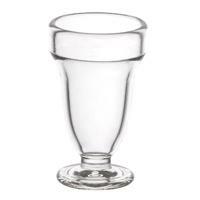 Product ID: 565 This exquisite tall dolls house miniature glass sundae dish would be a lovely feature to any dolls house.This item is part of our fantastic dolls house miniature glass range that has been handmade by master craftsmen using traditional glass blowing techniques for that unique finish.We have designs to suit any era and would make a fantastic accessory for any of your dolls house scenes. 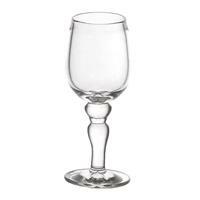 Product ID: 567 This traditional style 1:12th scale wine glass would look very classy in a modern looking dining room.This item is part of our fantastic dolls house miniature glass range that has been handmade by master craftsmen using traditional glass blowing techniques for that unique finish.We have designs to suit any era and would make a fantastic accessory for any of your dolls house scenes. 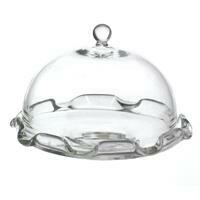 Product ID: 568 A wide bottomed 1:12th scale dolls house miniature glass sundae dish. 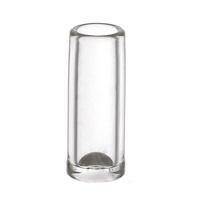 This item is part of our fantastic dolls house miniature glass range that has been handmade by master craftsmen using traditional glass blowing techniques for that unique finish.We have designs to suit any era and would make a fantastic accessory for any of your dolls house scenes. 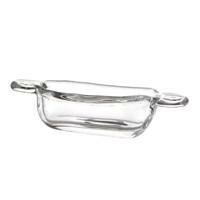 Product ID: 569 A very elegant 1:12th scale glass casserole dish with handles ideal for any dolls house kitchen. This item is part of our fantastic dolls house miniature glass range that has been handmade by master craftsmen using traditional glass blowing techniques for that unique finish.We have designs to suit any era and would make a fantastic accessory for any of your dolls house scenes. 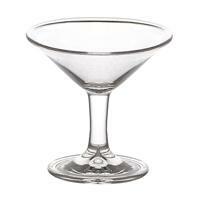 Product ID: 570 A beautifully crafted dolls house miniature glass sundae dish. This item is part of our fantastic dolls house miniature glass range that has been handmade by master craftsmen using traditional glass blowing techniques for that unique finish.We have designs to suit any era and would make a fantastic accessory for any of your dolls house scenes. 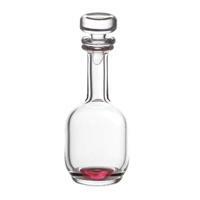 Product ID: 571 This beautifully crafted 1:12th scale decanter would be the ideal item to finish off a living room or dining room scene in any dolls house. This item is part of our fantastic dolls house miniature glass range that has been handmade by master craftsmen using traditional glass blowing techniques for that unique finish.We have designs to suit any era and would make a fantastic accessory for any of your dolls house scenes. 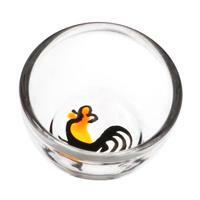 Product ID: 572 A delightful glass mixing bowl with a rooster design on the bottom. This item is part of our fantastic dolls house miniature glass range that has been handmade by master craftsmen using traditional glass blowing techniques for that unique finish.We have designs to suit any era and would make a fantastic accessory for any of your dolls house scenes. 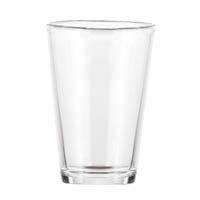 Product ID: 573 An exceptional glass that would not look out of place in any dolls house scene. This item is part of our fantastic dolls house miniature glass range that has been handmade by master craftsmen using traditional glass blowing techniques for that unique finish.We have designs to suit any era and would make a fantastic accessory for any of your dolls house scenes. 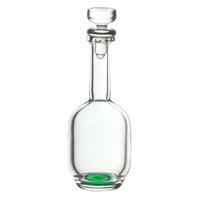 Product ID: 574 A charming glass item that would go well on a breakfast bar or table. This item is part of our fantastic dolls house miniature glass range that has been handmade by master craftsmen using traditional glass blowing techniques for that unique finish.We have designs to suit any era and would make a fantastic accessory for any of your dolls house scenes. 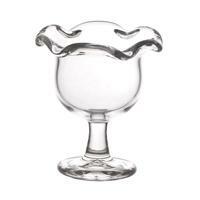 Product ID: 575 A delightful 1:12th scale dolls house miniature glass sundae dish ideal for any dolls house scene. This item is part of our fantastic dolls house miniature glass range that has been handmade by master craftsmen using traditional glass blowing techniques for that unique finish.We have designs to suit any era and would make a fantastic accessory for any of your dolls house scenes. Product ID: 576 This wonderfully crafted 1:12th scale glass would look lovely as part of a set or on its own.This item is part of our fantastic dolls house miniature glass range that has been handmade by master craftsmen using traditional glass blowing techniques for that unique finish.We have designs to suit any era and would make a fantastic accessory for any of your dolls house scenes. 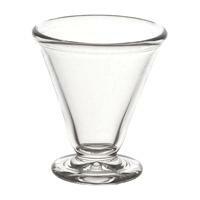 Product ID: 577 This different style cocktail glass has a raised edge and is beautifully made. 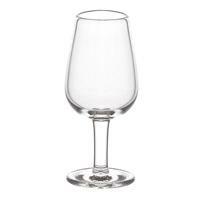 It is ideal for a dining room, restaurant or bar scene. This item is part of our fantastic dolls house miniature glass range that has been handmade by master craftsmen using traditional glass blowing techniques for that unique finish.We have designs to suit any era and would make a fantastic accessory for any of your dolls house scenes. 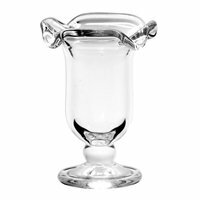 Product ID: 578 An exceptional glass item that would look perfect in any dolls house. This item is part of our fantastic dolls house miniature glass range that has been handmade by master craftsmen using traditional glass blowing techniques for that unique finish.We have designs to suit any era and would make a fantastic accessory for any of your dolls house scenes. Product ID: 579 This dolls house miniature glass jug is classically shaped and is finished with a curved handle.This item is part of our fantastic dolls house miniature glass range that has been handmade by master craftsmen using traditional glass blowing techniques for that unique finish.We have designs to suit any era and would make a fantastic accessory for any of your dolls house scenes. 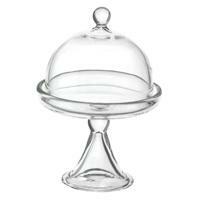 Product ID: 580 This lovely dolls house miniature glass sundae dish is well made with a small base that widens as it nears the top. This item is part of our fantastic dolls house miniature glass range that has been handmade by master craftsmen using traditional glass blowing techniques for that unique finish.We have designs to suit any era and would make a fantastic accessory for any of your dolls house scenes. 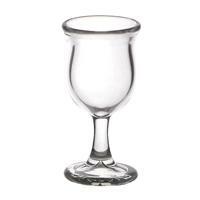 Product ID: 581 An ideal miniature wine glass for around the home use. This item is part of our fantastic dolls house miniature glass range that has been handmade by master craftsmen using traditional glass blowing techniques for that unique finish.We have designs to suit any era and would make a fantastic accessory for any of your dolls house scenes. 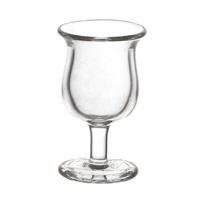 Product ID: 582 A beautiful dolls house miniature glass, perfect for sherry or port. This item is part of our fantastic dolls house miniature glass range that has been handmade by master craftsmen using traditional glass blowing techniques for that unique finish.We have designs to suit any era and would make a fantastic accessory for any of your dolls house scenes. 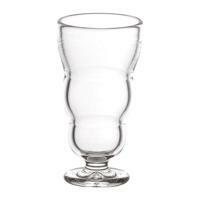 Product ID: 584 This tall dolls house miniature glass sundae dish is a lovely item for any dolls house to have. This item is part of our fantastic dolls house miniature glass range that has been handmade by master craftsmen using traditional glass blowing techniques for that unique finish.We have designs to suit any era and would make a fantastic accessory for any of your dolls house scenes. 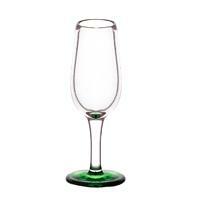 Product ID: 585 This tall and thin wine glass is different but delightful. Ideal for a dining room scene. This item is part of our fantastic dolls house miniature glass range that has been handmade by master craftsmen using traditional glass blowing techniques for that unique finish.We have designs to suit any era and would make a fantastic accessory for any of your dolls house scenes. 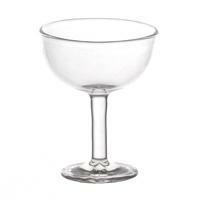 Product ID: 587 A classic looking wine glass that would look great in any dolls house. This item is part of our fantastic dolls house miniature glass range that has been handmade by master craftsmen using traditional glass blowing techniques for that unique finish.We have designs to suit any era and would make a fantastic accessory for any of your dolls house scenes. 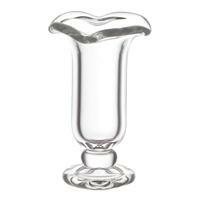 Product ID: 589 A lovely glass vase ideal for a center piece on a dining room table.This item is part of our fantastic dolls house miniature glass range that has been handmade by master craftsmen using traditional glass blowing techniques for that unique finish.We have designs to suit any era and would make a fantastic accessory for any of your dolls house scenes. 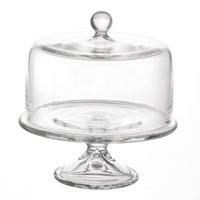 Product ID: 591 A tall and elegant dolls house miniature glass sundae dish. 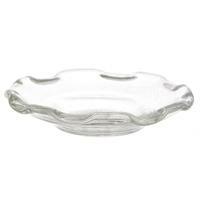 Ideal for serving desert in any dolls house. This item is part of our fantastic dolls house miniature glass range that has been handmade by master craftsmen using traditional glass blowing techniques for that unique finish.We have designs to suit any era and would make a fantastic accessory for any of your dolls house scenes. 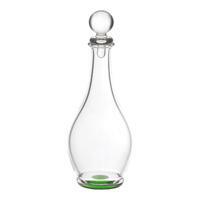 Product ID: 592 A very appealing 1:12th scale decanter that would be ideally suited in a dining room or living room. This item is part of our fantastic dolls house miniature glass range that has been handmade by master craftsmen using traditional glass blowing techniques for that unique finish.We have designs to suit any era and would make a fantastic accessory for any of your dolls house scenes. 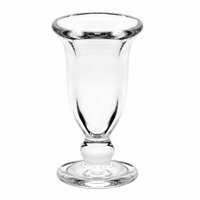 Product ID: 593 This tall and dolls house miniature glass sundae dish is an excellent addition to any dolls house. This item is part of our fantastic dolls house miniature glass range that has been handmade by master craftsmen using traditional glass blowing techniques for that unique finish.We have designs to suit any era and would make a fantastic accessory for any of your dolls house scenes. 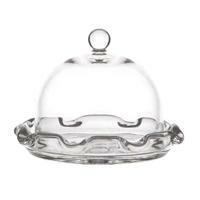 Product ID: 595 A lovely dolls house miniature glass sundae dish, ideal for any dolls house scene. This item is part of our fantastic dolls house miniature glass range that has been handmade by master craftsmen using traditional glass blowing techniques for that unique finish.We have designs to suit any era and would make a fantastic accessory for any of your dolls house scenes. 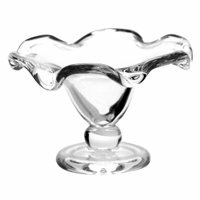 Product ID: 596 A lovely glass item, ideal for a centrepiece of a living room table. This item is part of our fantastic dolls house miniature glass range that has been handmade by master craftsmen using traditional glass blowing techniques for that unique finish.We have designs to suit any era and would make a fantastic accessory for any of your dolls house scenes. 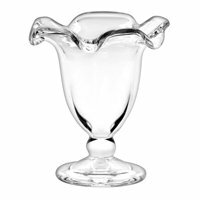 Product ID: 597 This wonderfully crafted glass item is suited to any dining room scene. This item is part of our fantastic dolls house miniature glass range that has been handmade by master craftsmen using traditional glass blowing techniques for that unique finish.We have designs to suit any era and would make a fantastic accessory for any of your dolls house scenes. 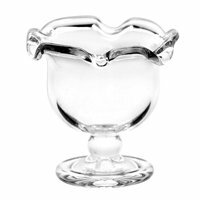 Product ID: 598 A dazzling dolls house miniature glass sundae dish. This item is part of our fantastic dolls house miniature glass range that has been handmade by master craftsmen using traditional glass blowing techniques for that unique finish.We have designs to suit any era and would make a fantastic accessory for any of your dolls house scenes. 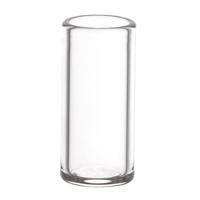 Product ID: 599 A finely made tall 1:12th scale glass, ideal as part of a set or on its own. This item is part of our fantastic dolls house miniature glass range that has been handmade by master craftsmen using traditional glass blowing techniques for that unique finish.We have designs to suit any era and would make a fantastic accessory for any of your dolls house scenes. 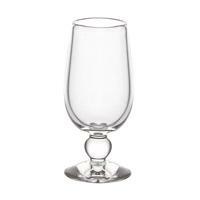 Product ID: 600 This exquisite 1:12th scale cocktail glass is suited for all occasions in your doll house. This item is part of our fantastic dolls house miniature glass range that has been handmade by master craftsmen using traditional glass blowing techniques for that unique finish.We have designs to suit any era and would make a fantastic accessory for any of your dolls house scenes. 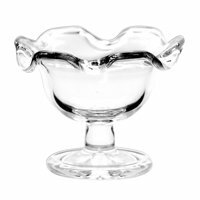 Product ID: 601 A beautifully crafted 1:12th scale frosted glass fruit bowl ideal for a centrepiece on a living room table. This item is part of our fantastic dolls house miniature glass range that has been handmade by master craftsmen using traditional glass blowing techniques for that unique finish.We have designs to suit any era and would make a fantastic accessory for any of your dolls house scenes. 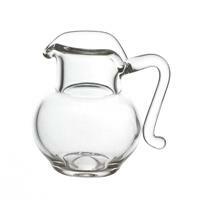 Product ID: 604 This very classy decanter would look perfect on a side table in a kitchen or dining room. This item is part of our fantastic dolls house miniature glass range that has been handmade by master craftsmen using traditional glass blowing techniques for that unique finish.We have designs to suit any era and would make a fantastic accessory for any of your dolls house scenes. 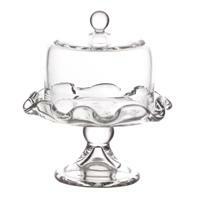 Product ID: 605 A beautifully crafted dolls house miniature glass sundae dish. This item is part of our fantastic dolls house miniature glass range that has been handmade by master craftsmen using traditional glass blowing techniques for that unique finish.We have designs to suit any era and would make a fantastic accessory for any of your dolls house scenes. 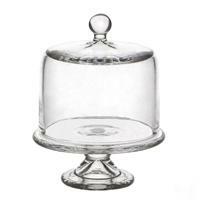 Product ID: 809 An exquisite rounded dolls house miniature glass stand with lifting lid. 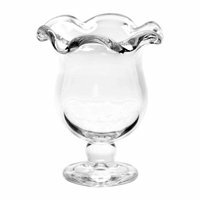 Perfect for showcasing either dollshouse cheese or cakes. This is the most popular size.This accessory is part of our fantastic dolls house miniature glass range that has been handmade for that unique finish. We have designs to suit any era and would make a fantastic accessory for any of your dolls house scenes. Product ID: 810 A beautifully crafted 1:12th scale fine dolls house miniature glass stand. The stand has a fluted bottom and a lifting lid.This accessory is part of our fantastic dolls house miniature glass range that has been handmade for that unique finish. We have designs to suit any era and would make a fantastic accessory for any of your dolls house scenes. 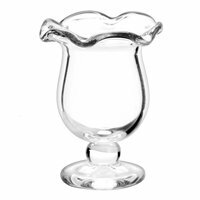 Product ID: 811 An elegant 1:12th scale dollshouse stand with a rounded top, ideal for showcasing cakes or cheeseâ€™s in a shop.This accessory is part of our fantastic dolls house miniature glass range that has been handmade for that unique finish. We have designs to suit any era and would make a fantastic accessory for any of your dolls house scenes. Product ID: 812 A beautiful raised 1:12th scale stand with rounded top. The lid lifts off, perfect for showcasing.This accessory is part of our fantastic dolls house miniature glass range that has been handmade for that unique finish. We have designs to suit any era and would make a fantastic accessory for any of your dolls house scenes. 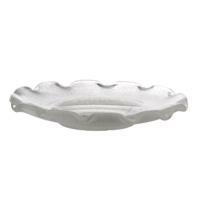 Product ID: 813 A lovely raised stand with fluted edging around the base. 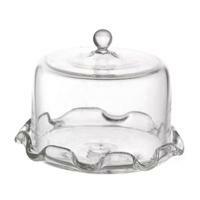 The top is rounded and the lid lifts off.This accessory is part of our fantastic dolls house miniature glass range that has been handmade for that unique finish. We have designs to suit any era and would make a fantastic accessory for any of your dolls house scenes. Product ID: 814 A beautiful 1:12th scale dome topped stand with fluted bottom perfect for dolls house miniature displays. Top is removable.This accessory is part of our fantastic dolls house miniature glass range that has been handmade for that unique finish. We have designs to suit any era and would make a fantastic accessory for any of your dolls house scenes. 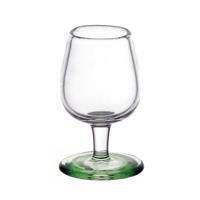 Product ID: 815 A lovely 1:12th scale hand made stand, very fine glass and lovely detailing. Perfect for showcasing.This accessory is part of our fantastic dolls house miniature glass range that has been handmade for that unique finish. We have designs to suit any era and would make a fantastic accessory for any of your dolls house scenes. 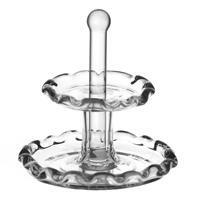 Product ID: 817 A beautiful 2 tier dolls house miniature glass cake stand, hand made and finely crafted.Perfect for as a table decoration.This accessory is part of our fantastic dolls house miniature glass range that has been hand made for that unique finish. We have designs to suit any era and would make a fantastic accessory for any of your dolls house scenes. Product ID: 818 A beautiful 2 tier dolls house miniature glass cake stand, hand made and finely crafted with a green pole through the middle.Perfect for an on table decoration.This accessory is part of our fantastic dolls house miniature glass range that has been hand made for that unique finish. We have designs to suit any era and would make a fantastic accessory for any of your dolls house scenes. 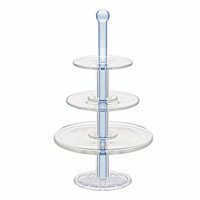 Product ID: 820 A beautifully crafted 3 tier dolls house miniature glass cake stand, hand made with great detail and fine glass.This accessory is part of our fantastic dolls house miniature glass range that has been hand made for that unique finish. We have designs to suit any era and would make a fantastic accessory for any of your dolls house scenes.